Hello everyone and hello new year! Here's a look at the ways paper played a part in festivities around my house this holiday season. First up, I attended a tree-trim party the weekend before Christmas and made a batch of paper ornaments to take along. For the shiny ones, I used wrapping paper saved from a present I received last Christmas. Too pretty to discard, it is interesting stuff... the glitter doesn't budge, but neither will tape stick to it... thus it's not 100% ideal as gift wrap, but it worked perfectly for these decorations. Mark Montano designed the pattern and there is also a very good video at the link. Mark used wire to assemble his, but since I didn't have any on hand, I used metallic ornament cord and dressed them up with sparkly beads. 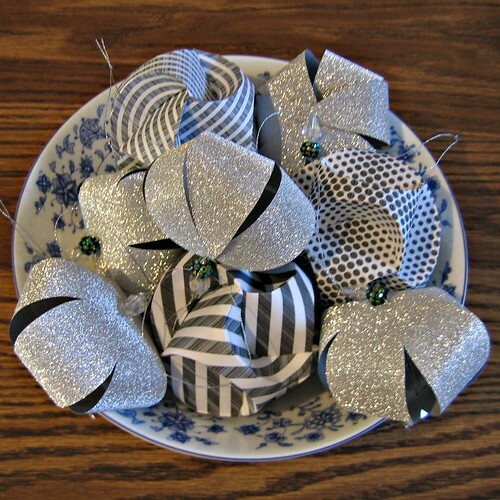 The other paper baubles that look oh-so-complicated to make are truly not. The printables and instructions are courtesy of a favorite new blog called It's a Heart Heart Season. 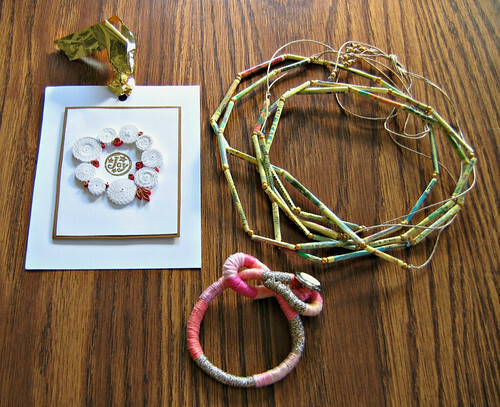 I gave three people on my gift list handmade paper jewelry from Mayumi Origami. 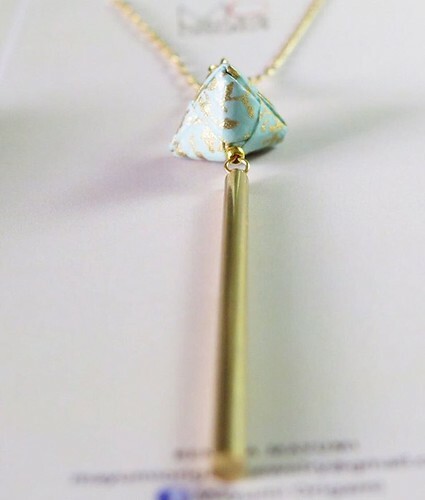 I've featured Renata Mayumi's work in the past and can't say enough nice things about it.... such attention to detail and beautiful findings that complement the folds. Stay tuned for an upcoming giveaway of Renata's newest creations and meanwhile, have a look at Mayumi Origami on Instagram and Facebook. 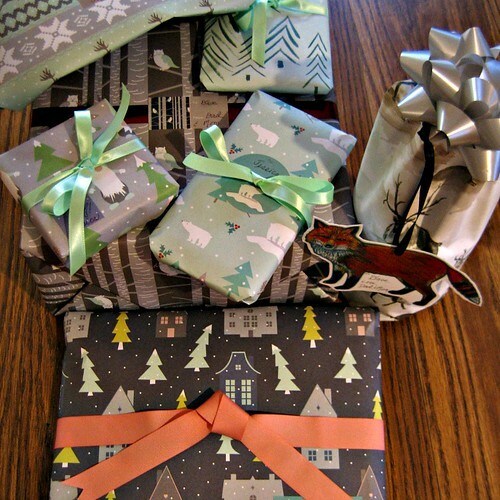 I love to wrap presents even though each year I conveniently forget just how much time it takes! You too? 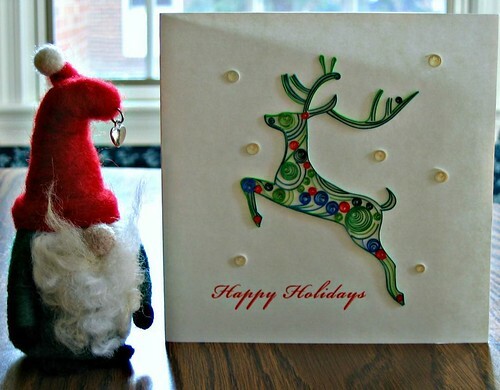 I mainly used Revel & Co.'s holiday paper this season and appreciated its sturdiness and fun patterns. (You might want to subscribe to the Revel & Co. occasional newsletter as they have spectacular sales from time to time.) Illustrated fox tags from Etsy shop Vicki Smith Art were popular with the guys and kids on my list, and coordinated well with Revel & Co.'s handsome reindeer wrap. 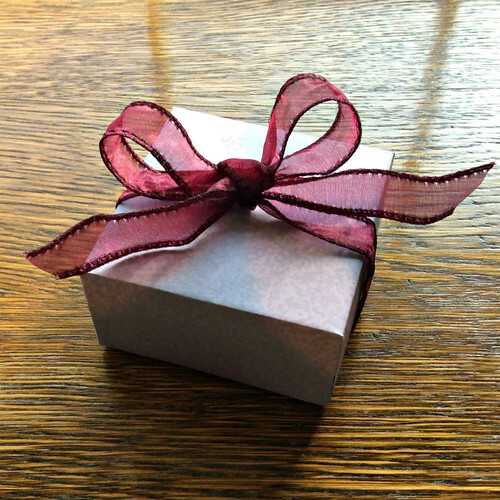 I folded a couple of little boxes as gift containers by following instructions on Debra Glanz's website, The Paper Assembly. Debra makes stunning art-boxes and designs patterned papers. Don't miss her page of paper craft tutorials and glue guide. Licia also sent a pretty card that she made - a crimped paper wreath accented with gilded edge quilled coils. And a paper bead necklace... can you tell what she used for the beads? Cancelled postage stamps strung on paper twine! Also a cool and twisty floss-wrapped rope bracelet. I'm looking forward to wearing them and love the pastel colors. As the saying goes, Christmas is over, I'm ready for spring. Ha, if only! I had a really nice surprise when this card with a note of thanks arrived. Backing up to summer before last, I was contacted by the company that assures U.S. Postal Service stamp materials are as accurate as possible. 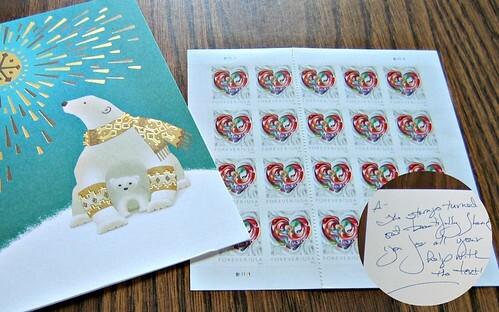 The issuance of a Love stamp in January 2016 that would feature a quilled heart design was under consideration, and I was asked if I would serve as a consultant on the project. I was pleased to participate in the process of reviewing the profile that had been written about quilling and Yulia Brodskaya's lovely art. 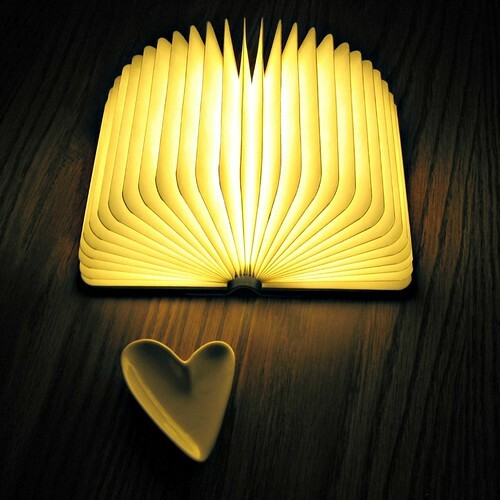 Lastly, I received this beautiful Mini Lumio from my sister and brother-in-law who know my love of all things paper. It truly looks like a hardcover book until it's opened and light pours forth from the Tyvek pages - surprise! Thanks Zoe and happy new year to you too!